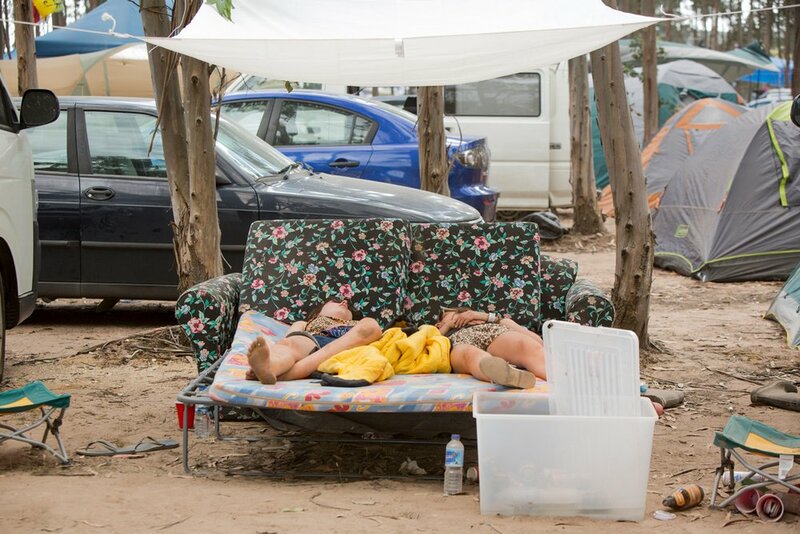 If you are looking for a spacious home in a good magic forest on flat ground with trees for walls and a leafy canopy for a roof, with all mod cons and a direct path to the Amphitheatre, then look no further than Bluegums. 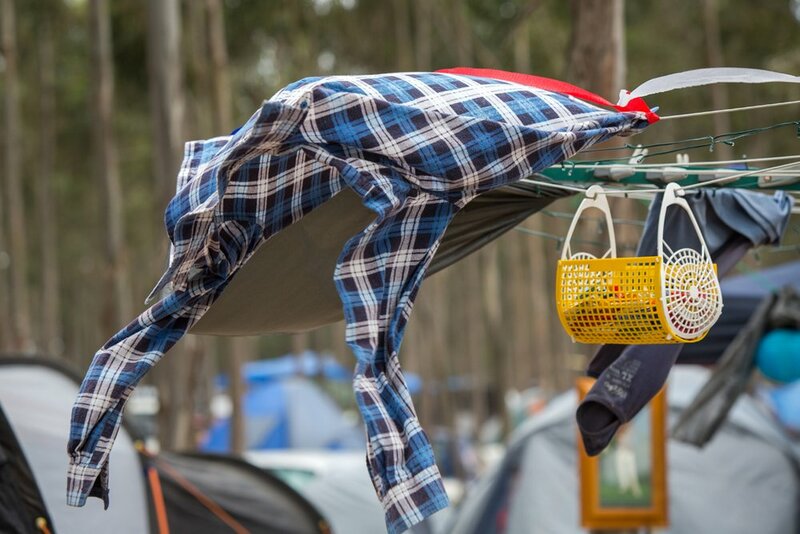 As much a massive natural installation as a festival campground, Bluegums is five hectares of similarly-sized six-metre saplings set out in seemingly unstopping squares alongside Top Camp. It is close to the action at one end and a little more quiet and secluded at the other. It was a plantation of 5000 Eucalyptus Globulus (bluegum) which Uncle Doug rescued from the evil clutches of the pulp mill just in the nick of time in 2009. The trees are evenly spaced and plentiful, and the ground is mainly settled leaf litter, mosses and some native grasses. The canopy is thickening by the year and currently only lets through dappled sunlight so the whole thing has the feel of an Australian bush campsite. Which is what it is. There are four roads which service Bluegums; they are named Here We Go, Loop de Loop, Loop de Lie and All On A Saturday Night. 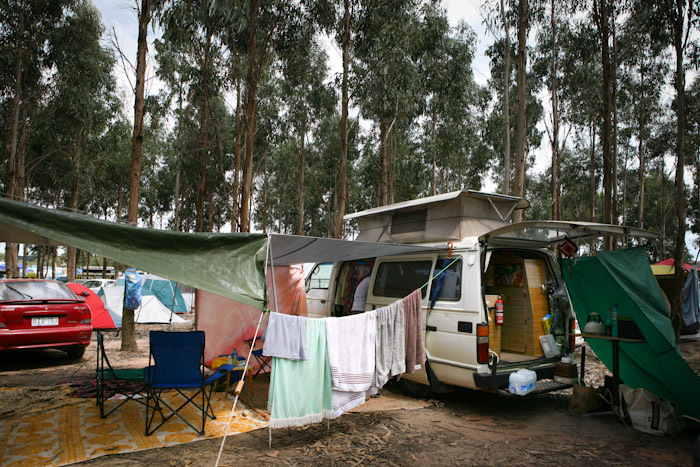 Bluegum is an evergreen tree and the primary source of global eucalyptus oil production. Tasmanian Bluegum leaves are used as a therapeutic herbal tea, and Bluegum flowers are considered a good source of nectar and pollen for bees. Honeybee let’s fly to Mars. Bzzzzzzzzzzzzz.